My Fleck 7000SXT Review: How Does it Compare to the Fleck 5600SXT? If you have hard water in your home, then it's time to remedy that with the right water softener! With an excellent water softener system to help you out, you'll be able to enjoy soft water safe and effective for cleaning or washing. But it can get quite confusing looking for the perfect one, especially when you're in a big household. But that's when I came upon the Fleck 7000SXT, which has ensured the best quality of water for my big household! But what exactly does the Fleck 7000SXT water softener have to offer? Read on as I show you my complete review on it! Is The Fleck 7000SXT Water Softener Suitable For Me? The Fleck 7000SXT has a two-tank configuration and a separate brine tank. It has the dimensions of 15x17x33" and is 150 pounds. It has a flow rate of up to 35 gallons per minute and can take 48,000 grains, making it extremely efficient and great for big families with very hard water at home. The system uses an integral microprocessor-based control so you can measure the water consumption and regenerate only how much you require. This ends up having you save up on salt and money in the long run! • One of the highest rated models reviewed, so you know it's a trusted brand by many. • The best for very hard water, taking up to 48,000 grains per gallon. • It comes with a Demand Initiated Regeneration, so there is no scheduled or timed process for cleaning. The unit will only go through the regeneration process IF needed. This saved water and salt. Just like its performance, I was astounded with its efficiency. With my old salt-based water softeners, I usually had to replace the salt every few weeks. As for the Fleck 7000SXT, I just needed to do it every few months. It saved up on both water and salt, helping my wallet and back while replacing the latter. The whole process of transforming hard water to soft was also very quick. 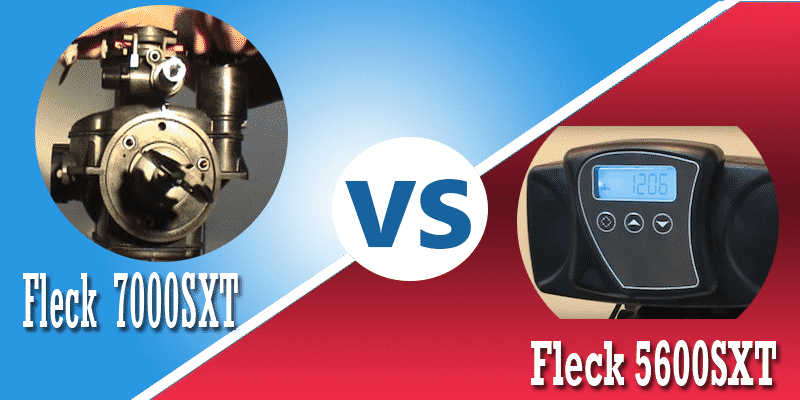 The main difference between the Fleck 5600SXT vs. 7000SXT is that the former is more suitable for smaller households. They have a smaller internal porting, so the 7000SXT has a better flow rate. But regarding how the water softener it works, both are similar as they are easy to install, as well as an on-demand system features with a display to properly check the water and salt usage. The difference indeed lies in its capacity and price. The whole water system was relatively easy to install, considering that it's a salt-based water softener. It only took less than half a day to have everything set up and to flush water out. As for maintenance of the water softener, I'm impressed with how easy it is to keep it working well. You have the digital controls to monitor the water and salt usage, plus you won't have to continue replacing the salt every few weeks. There's no hassle here! Fortunately, the Fleck 7000SXT comes with a fantastic warranty. You have a five-year warranty on its controller valve, a ten-year warranty on the resin and brine tank, as well as a one-month satisfaction guarantee. So if you feel like this isn't for you, you can get your money back or have parts replaced and repaired when needed. A manual comes with the package, making it easy to understand how to assemble and control the system. Additionally, customer service is very accommodating and answers as soon as possible. Now that I have used it for a few months, I can say that I have an excellent quality of water thanks to the Fleck 7000SXT. I would recommend this for families of over six people because of its high capacity, as well as areas that have extremely hard water. After a few months of using it, I believe that the Fleck 7000SXT is suitable for bigger households. I love the fact that it produces soft water quickly while still saving up on salt usage so I won't have to continuously hassle myself (and my wallet!) replacing the salt in the tank. I also appreciate the fact that it has advanced technology that makes programming and monitoring water levels simple. The system itself is durable and built to last, as well as being quick to install for a salt-based water softener. All in all, it's an excellent system built to last! 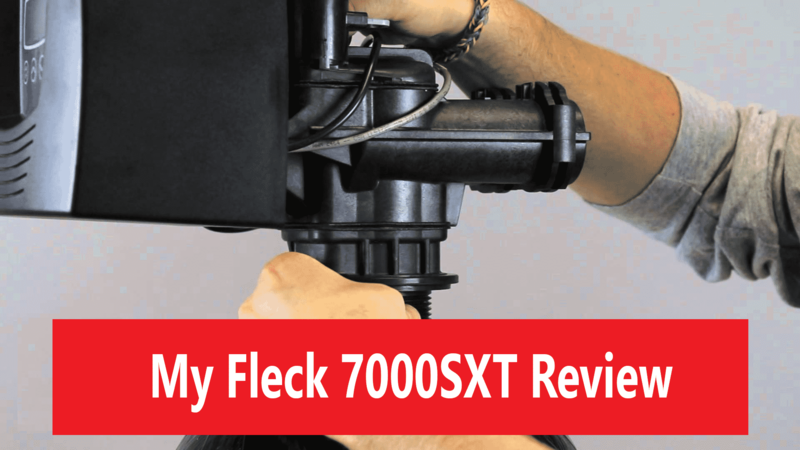 For those who have any questions or would like to share their reviews on the Fleck 7000SXT, do comment below. All your comments will be much appreciated!